On 29 March 2019, the Office of the United States Trade Representative (USTR) published its 2019 National Trade Estimates Report on Foreign Trade Barriers (NTE). Every year, the USTR is tasked with submitting to the “President, the Senate Finance Committee, and appropriate committees in the House of Representatives, an annual report on significant foreign trade barriers. The statute requires an inventory of the most important foreign barriers affecting U.S. exports of goods and services, foreign direct investment by U.S. persons, and protection of intellectual property rights.” (Source: USTR 2019 National Trade Estimate Report on Foreign Trade Barriers). The 2019 NTE report numbers 540 pages; 50 pages of this report are devoted to the European Union and its member states. The USTR, prompted by the pharmaceutical industry, takes aim at the pharmaceutical pricing and reimbursement policies in the European Union, in particular, Austria, Belgium, Cyprus, the Czech Republic, France, Hungary, Italy, Lithuania, Poland, Portugal, Romania, and Slovakia for their pharmaceutical pricing and reimbursement policies. While the NTE report has a broader remit than the USTR Special 301 report, it does serve as a barometer for what to expect in the Special 301 report. Here are excerpts from USTR’s entries for Austria, Bulgaria, Czech Republic, France, Greece, Italy, Poland, Portugal, and Slovakia. “Austria: U.S. pharmaceuticals sales to Austria were worth over $917 million in 2017 (latest data available), comprising over 20 percent of U.S. goods exports to the country. For years, U.S. pharmaceutical companies have expressed concern regarding non-transparent decisions that fail to provide appropriate incentives for innovation decisions by the Austrian Social Insurance Carriers Association (HVB), which decides on reimbursement prices for most of Austria’s pharmaceuticals. The United States will continue to monitor a system approved by Parliament in 2017 to ensure that it is implemented in a fair and transparent manner. The HVB also enforces a clawback agreement with all pharmaceutical producers and wholesalers, which requires a so-called “solidarity contribution” for the sector ($148 million in 2016, $68 million in 2017, and $57 million in 2018, subject to a growth-related calculation). In addition, the HVB negotiates clawbacks for individual products in order to further drive down the net price below the EU average, a de facto prerequisite to receiving reimbursement for prescribed drugs. Bulgaria: The first Bulgarian government e-health tender was fast-tracked in 2017 for hospital purchase of cancer pharmaceuticals and pharmaceuticals for other life-threatening and serious diseases, worth $518 million, but it is on hold pending litigation. U.S. companies have reported that the tender specifics were narrowly written to exclude some branded biotech medicine and included strict sanctions for products with shorter shelf life. After the initial launch, the tender was delayed by court proceedings, following several local bidders’ complaints against specific provisions in the tender.prescribed drugs. Czech Republic: While pharmaceutical approvals in the Czech Republic take longer than stipulated by the EU, U.S. firms report that the time required for such approvals has decreased. Despite this improvement, U.S. firms have concerns about the Czech Republic’s system for determining pricing and reimbursement levels for pharmaceutical products. Specifically, they raise questions regarding the Czech government’s practice of using the three lowest prices in a basket of countries (a group of 17 Member States as of January 1, 2018) to set maximum medicine prices. 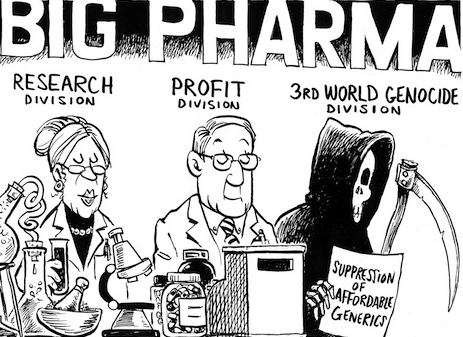 Pharmaceutical companies believe that using the average of the three lowest prices in the basket results in prices that are not adequate to incentivize research and development. The firms are pushing for these pricing decisions to be made transparently and include meaningful stakeholder input. France: Pharmaceutical industry stakeholders continue to raise concerns about the French pharmaceutical market, including with respect to the significant tax burden on the industry and the constraints facing the sales of reimbursable medicines, sales of which dropped by 0.6 percent from 2013 to 2017 and by 2 percent per year over the previous four years. As an example of such constraints, U.S. stakeholders have expressed concern that market access for drugs in France is slower than elsewhere in Europe, resulting from delays in reimbursement approvals of as much as 405 days after marketing authorization, compared to the 180 days required by EU law. In July 2018, the French government announced that it will reduce the length of the delays to meet European industry requirements. France has not yet implemented any adjustments. Greece: Pharmaceutical industry stakeholders face price controls and other market barriers, such as mandatory clawbacks and rebates. U.S. stakeholders report that the government’s expenditure on outpatient medicines declined by 62 percent between 2009-2017, with the 2017 clawback reaching €800 million ($906 million), more than 30 percent of the total public pharmaceutical spending (€2.5 billion or $2.8 billion). Italy: U.S. healthcare companies face an unpredictable business environment in Italy, which includes highly variable implementation of complex budget policies. One such policy is the “payback system” for public hospital pharmaceutical purchases, which was first applied in 2013. It requires that pharmaceutical companies pay back 50 percent of the amount spent over budgetary limits for pharmaceutical spending. The pharmaceutical companies pay back the overspending to the national government through the Italian Drug Agency (AIFA), which is the organization in charge of calculating the overspending and collecting return payments. The Italian central government determines the overall annual budget for pharmaceutical products, which is then transferred to each region responsible for managing the healthcare system locally. Industry estimates that the Italian government has asked for roughly $1.48 billion from pharmaceutical companies between 2013 and 2015 as part of this policy. U.S. pharmaceutical firms account for 30 percent of the market but are asked to contribute 50 percent of the payback amount. Several U.S. and European companies have prevailed on appeal to the Regional Administrative Court when challenging the 2013, 2014, and 2015 payback calculations. The 2018 budget law requires companies to refund the overrun on 2016 pharmaceutical expenditures and to conclude the settlement agreements defined with the AIFA for the payback amounts for 2013, 2014, and 2015. In August 2015, the Italian government published a law (D.L. 78/2015) applying the payback system to hospital purchases of medical equipment. That same law authorized hospitals to renegotiate signed agreements with medical device suppliers in order to reduce the unit price or purchase volume as previously defined in the contract. Since this law was introduced, the government has not provided further guidance or legislation on its implementation, creating significant uncertainty among U.S. medical device companies operating in Italy, forcing them to hold excessive amounts of capital in reserve. U.S. stakeholders also have raised concerns regarding delays in market approval for pharmaceutical products and payments for medical devices. For example, it can take 12 months for products to be included in the Regional Registry even after the products have received marketing approval and been accepted for reimbursement. The average payment time from public hospitals to medical devices suppliers in Italy continues to exceed the EU average as well as the maximum period permitted by EU law. Poland: U.S. stakeholders have expressed concern regarding the tendering processes and the transparency of, and opportunity for meaningful stakeholder input in, reimbursement rules and determinations for biosimilar pharmaceutical products. Private hospital owners have complained that a new hospital network law enacted on October 1, 2017, makes it difficult to get reimbursed by the National Health Fund for lifesaving procedures, forcing the closure of some private hospitals, particularly in cardiology. Poland is in the process of drafting a new medical reimbursement law that is still in the consultation stage and carries the potential to bring about major changes to Poland’s reimbursement system. The United States will continue to urge Poland to engage meaningfully with stakeholders to address their concerns.